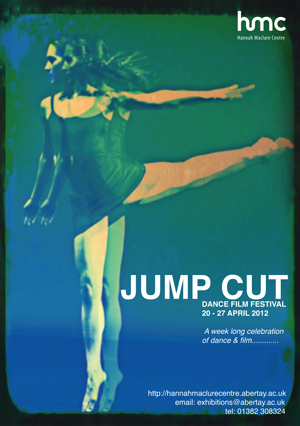 JUMP-CUT Dance Film Festival 2012 is offering artists and dancers the chance to share their work as part of this year’s festival. Jump Cut is very first Dance Film Festival in Dundee, and will offer a wonderful opportunity for you share the screen with professional performers and film makers, to network and raise the profile of your work. The Festival encourages applicants to collaborate, share ideas and create short films (or share existing work!) inspired by, or related to, dance/movement. Don’t miss this unique chance to bring the two art forms together and let the camera and dance meet! Please submit your work by Monday 9th April 2012.